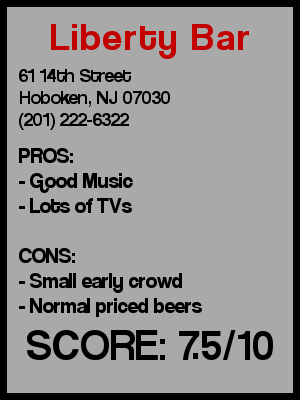 I finally took a trip uptown in Hoboken, and had a couple of beers at Liberty Bar. The trip uptown was which was much needed. Looking at the map below on the page there are plenty of bars uptown, but I hadn’t been to any in 2011. 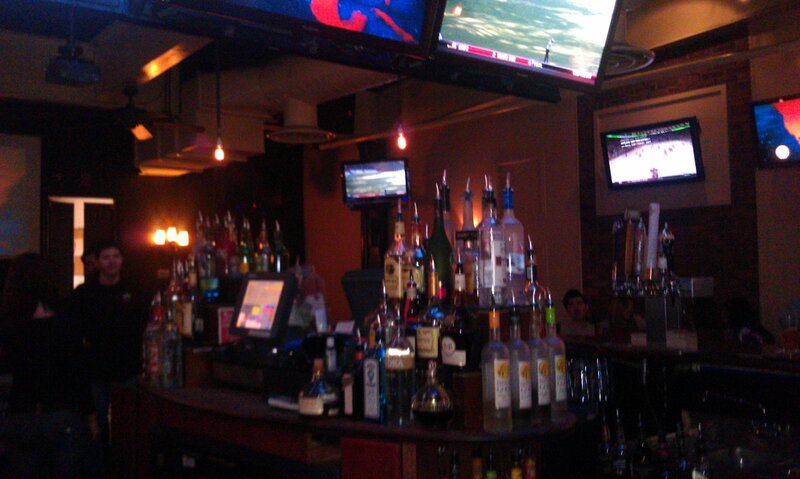 The bars uptown have a very different vibe than a lot of the downtown bars. The PATH and NJ Transit gives the downtown bars a lot younger clientele. Rightly or wrongly the uptown bars are known to be a little classier catering to the older, more family friendly than their downtown counterparts. 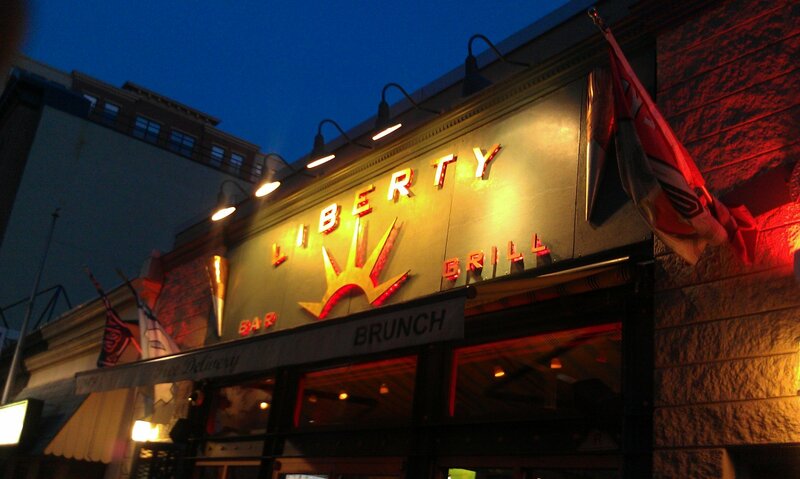 So I walked into Liberty Bar, located on 14th Street between Washington Street and Hudson Place. I had been there a few times before mainly for drinks at night, but this trip was for before dinner drinks. When I walked in there were a few tables of parents with children grabbing an early dinner and maybe 3 other people seated at the bar. It’s always strange to me seeing strollers inside a bar, but this place serves pretty decent bar food. Also bars like Liberty are no longer the dark, smoky, glass breaking establishments that were kid unfriendly. My friend and I sat down at the circular bar in the center of the establishment. 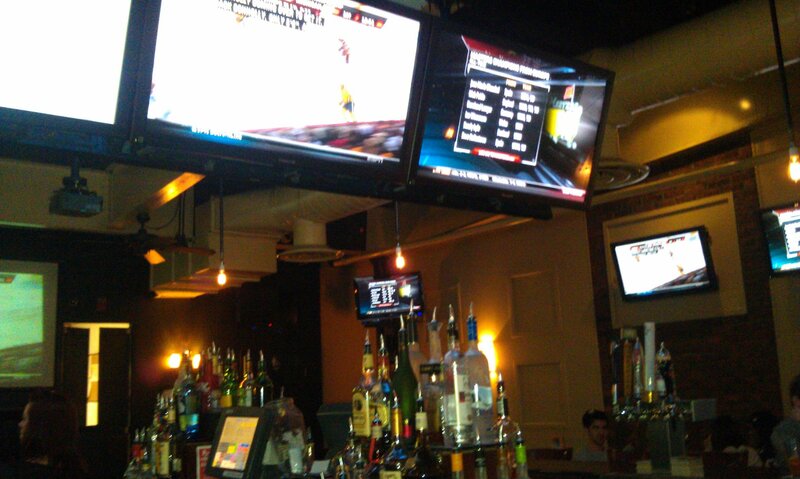 I think Liberty Bar is the only uptown sports bar and much like its downtown counterparts, there are plenty of TVs. 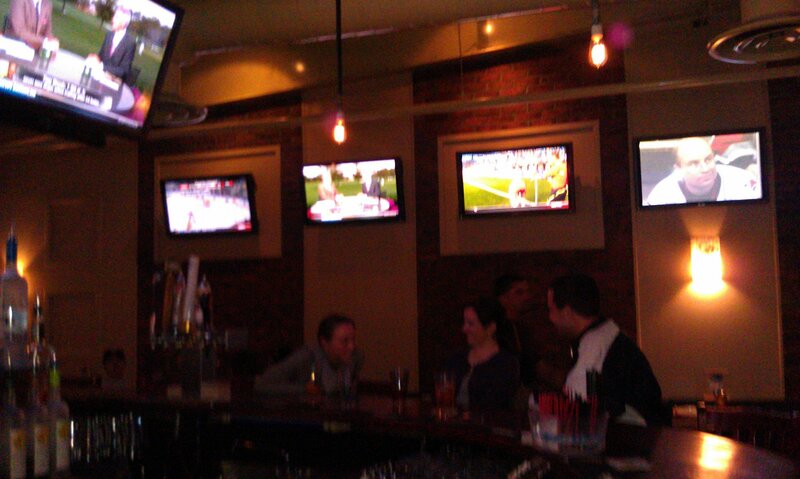 There were TVs on right about the bar, and on all of the walls. When I got there on this Saturday late afternoon it was too early for the night baseball games, and too late for the afternoon games. 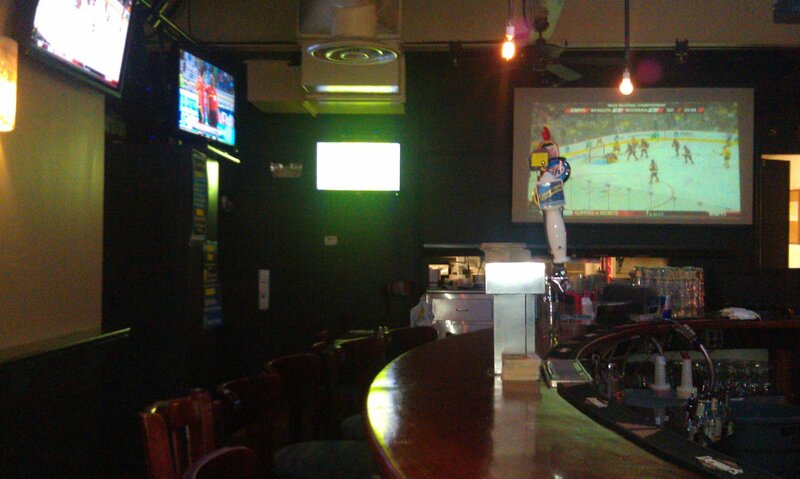 Luckily the bartender was real accommodating and was able to find the out of town hockey game that I was interested in watching. I had a couple of Sam Seasonals and my friend ordered a couple of other draught beers. Their selection was slightly better than average, but still nothing to write home about. The bar was playing some good drinking music. Definitely heard some of The Doors, and some more modern rock. Unfortunately it wasn’t quite warm enough on this day for them to open up their huge front windows, but as the weather gets better that’s something that helps the vibe. When I left the bar was still in the midst of changing shifts and getting ready for their night crowd. After a couple of drinks while catching up with a friend, it was onto dinner at another restaurant. Crowd stereotype – When I was there there everyone was 27+, and there was a few families with their children. If you go there any time after 8, I highly highly doubt there would be any strollers. First or last drink of the night – This was my first drinks of the night and it was perfect for that. Overall – Just like most of the bars I have been to, this one was pretty empty. I guess that’s what I get for fitting these drinks into my schedule, instead of the normal 10 pm – 2 am bar schedule. But the bartenders were accommodating and were willing to talk. The beers were reasonably priced and anything you wanted to watch on TV you could ask for and was prominently shown on the TVs. This place has always been a solid place for an OK time. Never a “could you believe that happened” night, and never a major disappointment. I’ll give it a 7.5.